Creating a corps of volunteers is, historically, a vital component of any community action program. In keeping with that tradition, the Agency continues to solicit and train volunteers to perform clerical duties, support the agency’s diaper program, community garden and operation of the Santa Cruz Valley Food Pantry, a CAHRA project for more than 10 years. 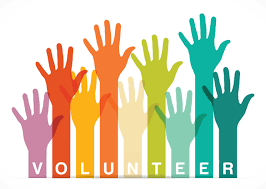 Other volunteer opportunities include assistance during special intakes in communities throughout Pinal County by signing individuals in, making copies and guiding applicants through the application process. Designed by Rosales Web Design.